It’s close encounters of the herd kind in Shaun’s new out of this world movie. Strange lights over the quiet town of Mossingham herald the arrival of a mystery visitor from far across the galaxy… but at nearby Mossy Bottom Farm, Shaun has other things on his mind, as his mischievous schemes are continually thwarted by an exasperated Bitzer. 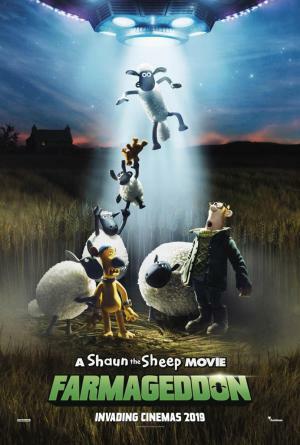 When an impish and adorable alien with amazing powers crash-lands near Mossy Bottom Farm, Shaun soon sees an opportunity for alien-powered fun and adventure, setting off on a mission to shepherd the intergalactic visitor home before a sinister organisation can capture her…can Shaun and the flock avert Farmageddon on Mossy Bottom Farm before it’s too late?